In this day and age, when so many people and businesses are concerned about fraud in all respects, being able to prove that your workers’ compensation claim is legitimate – or at least provide significant evidence in that direction – is a decided advantage. A knowledgeable attorney will be able to help you present your claim in an appropriate way, keeping the mistakes a layman might make to a minimum. There are two relevant sections of law that govern workers’ compensation and fraud issues. Sec. 440.105(4)(b)(1) of the Florida Statutes states that it is unlawful for anyone to knowingly make (or cause someone else to make) any “false, fraudulent or misleading” statement for the purpose of obtaining any kind of benefit as described in that chapter (in other words, workers’ compensation benefits). Sec. 440.09(4) states that a person is not entitled to any kind of benefit in that chapter if it can be shown that they engaged in conduct designed specifically to get them. 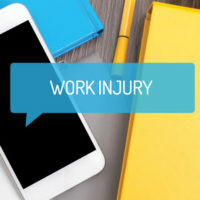 True workers’ compensation fraud is fairly rare, if only because it generally is quite brazen and thus easily seen – examples include lying about the injury’s origin or not reporting other government benefits like disability very clearly conflict with these two statutes. However, this does sometimes make state officials somewhat paranoid about smaller, more insidious frauds, such as not disclosing a past injury or under-reporting its severity, and it is here that you may wind up being asked for extra information or further proof of your injuries. Sec. 440.105 is the statute that most often gets used to allege fraud against an employee, and it is interpreted in two parts. It is critical that you be familiar with this part of the process in case it is ever used against you or there is some irregularity. The first part of the analysis is straightforward: did you make any false statements on your petition for benefits, or to an insurance adjuster? Everyone makes mistakes, but nonetheless, if you make a false statement even inadvertently, it may merit further investigation. The second part of the inquiry is always more complex and subjective. Even if it cannot be denied that a false statement was made – for example, if you make a mistake and say that you have no prior knee injuries, when in reality, you had one some years ago, it still must be proven that you did so for the purposes of obtaining benefits. However, especially if the injury in question occurred years ago, it is easy to misremember. While the way to interpret these issues will vary from judge to judge, many in Florida use what is called the reasonable person standard – normally this concept is embedded in personal injury law, but it can be used to determine the plausibility of whether a workers’ compensation patient is misremembering facts or outright lying to enrich themselves. Good faith is the cornerstone of the entire workers’ compensation system, and if you are suspected of undermining that, the consequences can be severe unless you can show your legitimacy. The knowledgeable Winter Park workers’ compensation attorneys at the Hornsby Law Group are happy to try and assist. Contact us today to set up an initial appointment.